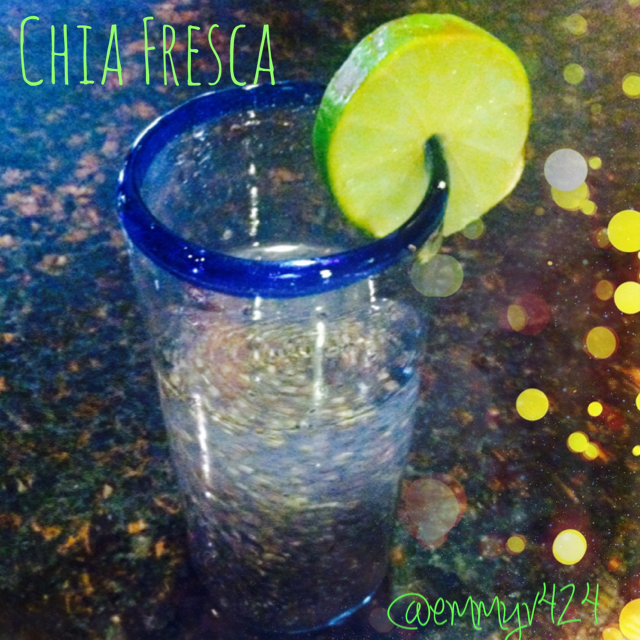 Yesterday morning, I tried something completely new to me: Chia Fresca. I had been feeling sluggish through my workouts lately and void of energy and have heard wonders about this drink. So, the next morning I decided to try this natural “energy” drink for myself. Just swirl it all together and wait about 10 minutes for the chia seeds to gel a little bit. It should not be a chia pudding, just water with some bursts of jelly seeds. I was not sure if I would like this or not, but let me tell you, I really did enjoy it. It was so filling due to the absorbing chia seeds, refreshing with the lime juice, and gave me energy throughout the day with plenty of Omega-3’s. Do not knock it until you try it for yourself, and let me know what you think! If you are one of those who just cannot get your daily dose of the H2O, think outside the box. If drinking water is not your thing, try eating it. There are plenty of fruits and veggies that can help rehydrate you like melons, celery, lettuce, cucumbers,… the list goes on. 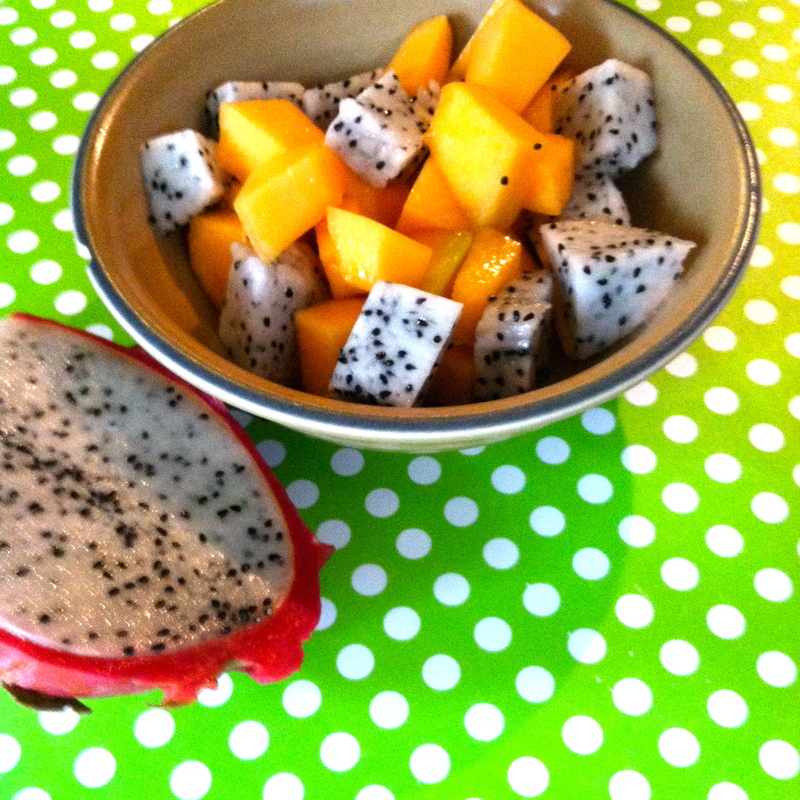 Like for breakfast the other morning, I had a cut up cantaloupe (1 cup diced) and half a dragon fruit. This was my first dragon fruit experience and I have to say, it was alright. It has the texture of a kiwi/pear and the taste was pretty bland, but with a woody kick to it at the end. I did not love it as much as I do my Pineapple, but I did not hate it either. I think next time I buy one, I will try the pink/red dragon fruit…because who would pass up a hot pink fruit?? 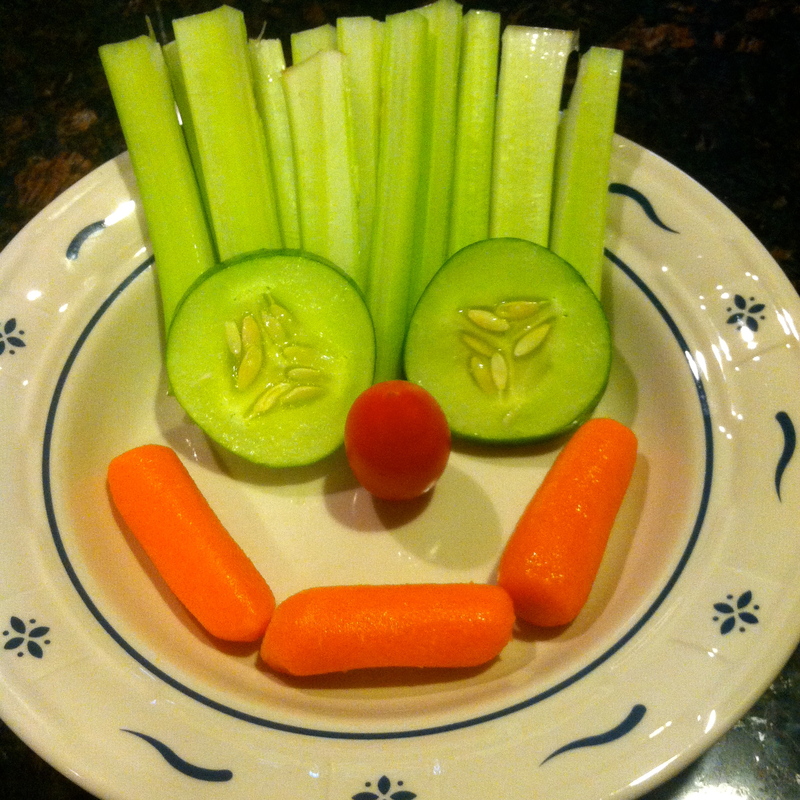 As for the veggie rehydration, I made myself a fun snack with organic baby carrots, organic celery, homegrown cucumbers, and homegrown grape tomatoes. Everything looks so yummy and healthy! Yum!! I definitely need to stay hydrated!